The Oxford Book of Latin American Poetry opens with an image from the Maya Codex. The figure of a female scribe, her head bowed to her writing task, commands the field of the first page. Undeciphered glyphs float before her bent head. She heralds the mysterious transmissions that all poetries in translation augur. Beyond signaling the acts of translation that make up the anthology, the female scribe locates the origins of Latin American poetries in pre-Columbian writing systems. Reproduced in smaller detail above and below her, the image of the scribal god Pawahtún is taken from a vase in the codex style. The vase serves as a reminder of the Spanish conquerors who read diabolical intent into the unfamiliar forms of Maya writing and set out to destroy these sacred books, largely succeeding. Several of the anthology’s core concerns are indexed in the centered image of the female scribe: the representation of female and indigenous voices and subjects, the legacy of pre-Columbian writing systems in modern and contemporary Latin American poetries, and the exploration of the interplay between writing and drawing as forms of visual poetics. Maya glyph writing is an indeterminate system which, according to one of the anthology’s editors, is “designed to encourage word play,” as “the system contains tendencies but not absolute rules” (xxxi, n12). To begin the book with this image also suggests a reading strategy for what follows: one delights in the open-ended relationship between image and text, source and translation. A multilingual anthology featuring more than 120 poets and many poems that have not previously been translated into English, The Oxford Book of Latin American Poetry is an essential resource for any English-language reader interested in broadening or deepening her knowledge of Latin American poetries. Alongside the traditionally canonized male poets writing in Spanish and Portuguese, editors Cecilia Vicuña and Ernesto Livon-Grosman present the voices and writings of poets who have often been excluded — despite their innovative compositions — from the canons of Latin American poetry: namely, the poor, the indigenous, and women. 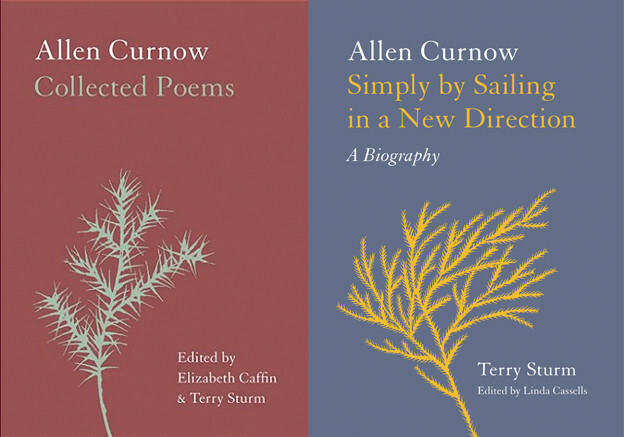 This unique selection advances a richer and more diverse mapping of the poetic territory than has previously been offered in any single edition of Latin American poetry in English. Spanning more than 500 years of poetry, the Oxford Book of Latin American Poetry introduces English-language readers to a poetics born of mestizaje. The bulk of the anthology (more than 400 of its 500-plus pages) is dedicated to twentieth-century poetry, indicating the artistic flourishing that followed independence (as variously achieved throughout the region in the nineteenth century) and the diversity of voices that independence unleashed, whether or not these poets were officially recognized in their lifetimes. Of the pre-twentieth-century poets represented in the anthology, more than a third are anonymous, and write in non-European languages and/or in combined drawing and writing systems. This selection of predecessors prepares us for the attention that visual poetics, oral poetry, and indigenous forms receive in the twentieth-century selections. Of the most recent works, nearly half of the selections come from oral poets or indigenous poets composing in their native languages. In their broad conception of Latin American poetries, editors Vicuña and Livon-Grosman refuse to entrench the separation of indigenous-derived oral poetries and European-influenced text-based production that dominates most Latin American poetry anthologies. Their selections are based on a rejection of modernity’s erasure of the indigenous. In this way, the anthology functions to recover the indigenous poetic traditions at the heart of Latin American experimentation, rewriting the singular focus on European-derived models without denying their importance. The aim of the anthology is clearly to introduce an English-language readership to these mixed traditions: “Latin America has a complex and prolific poetic tradition that is little known outside its geographic and linguistic boundaries” (xvii). Thus, indigenous poetic practices and languages, from pre-Columbian times to the present, are integrated with the presentation of poetry written in Spanish and Portuguese. At an event celebrating 500 years of Latin American poetry at Poets House in New York in late fall 2009, Vicuña described the anthology as a “journey into the heart and soul of the forgotten.” Following a brief video presentation of visual poetry, local poets and translators performed highlights from the book, presenting female, indigenous, and anonymous voices alongside the male modernists more familiar to a US audience. Sound artist LaTasha Nevada Diggs performed an anonymous Inca song translated into Quechua ,and Rodrigo Toscano read from the work of Cesar Vallejo and Vicente Huidobro. Bob Holman recited contemporary Guarani poetry and Anne Waldman performed poetry by Rosa Araneda, a nineteenth-century Chilean peasant whose once-popular works are now largely forgotten. Michelle Gil-Montero shared her own stunning translation of Maria Mercedes Carranza’s poem “La Patria” (Homeland), which opens, “This house with its thick colonial walls / and nineteenth-century patio with azaleas / has been collapsing for centuries” (470). The anthology’s biographical note for Carranza explains that she “was born in Bogotá, Colombia, where she also took her own life, haunted by ‘country pain’ — the torrent of violence and death of the undeclared civil war of her country” (470). Vicuña’s revelation that Carranza was a friend of hers made her editorial vision of a poetics of resistance register more intimately for those of us present in the room. The diverse selection of readings that evening is indicative of Vicuña’s interest in theorizing a “mestizo poetics” that undoes the binary between European-influenced modernist verse and more traditional or “native” poetics, as she explains in the pages of her immensely engaging and provocative introduction to the anthology. According to Vicuña, the term “mestizo poetics” is a “loaded phrase” that describes “works that emerged from the clash of cultures in Latin America” (xix). Much like the performance scholars featured in Not the Other Avant-Garde: The Transnational Foundations of Avant-Garde Performance, who aim to “move [away] from a Eurocentric to a transnational conception of the avant-garde,” Vicuña’s editorial work “recognizes that the sites of artistic innovation associated with the avant-garde tend to be sites of unacknowledged cultural hybridity and negotiation.” She cites, for example, Brazilian concrete poetry as “a modern manifestation of indigenous tradition,” comparing it to the playfulness of the Maya glyph writing system (xxv). She acknowledges that concrete poets in Brazil were in dialogue with European poets and that the concrete movement developed internationally in the 1950s, but also reminds us of the “forgotten forbearers” of these visual poets (xxv). The Oxford Book of Latin American Poetry offers an unparalleled selection of Latin American vernacular, visual, and oral poetics that upsets our expectations of what such an anthology can do. 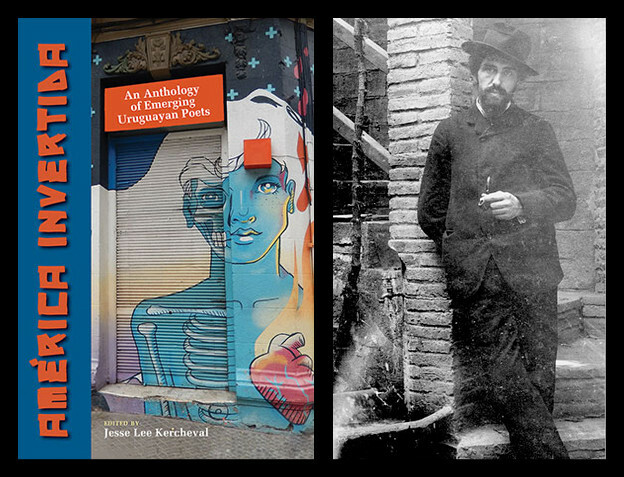 Not only are many of the poets here rarely canonized, but even for those we expect to find in such an anthology, a series of new translations draws attention to previously ignored or understudied aspects of the work. The seventeenth-century Mexican poet Sor Juana Inés de la Cruz provides an interesting case. An excerpt from her major work “Primero Sueño” (First Dream) and her sonnets are represented in translations by Samuel Beckett. These are followed by a poem in the voices of a “black man” and “an Indian” translated by Jerome Rothenberg and Cecilia Vicuña. Written in a mix of vernacular Spanish and Nahuatl, this excerpt from Sor Juana’s series of villancicos is startling in its chanting rhythms — “tumba la-lá-la tumba la-léy-ley” — and bold diction — “Huel ni machicahuac / I am not talk smart / not teco qui mati / mine am hero heart” (33–35). Similarly, the selection of Pablo Neruda’s poems does not reproduce work from The Twenty Love Poems and a Song of Despair or the fanciful odes to everyday objects or the later love sonnets that English-language readers are most familiar with, but puts forward three darkly surrealist works. A posthumously published poem entitled “Right, Comrade, It’s the Hour of the Garden” (“Sí, camarada, es hora de jardín”) ends: “Ours is a lank country / and on the naked edge of her knife / our frail flag burns” (translated by Forrest Gander, 238). The biographical note for Neruda reminds us that the Chilean poet “died in Santiago a few days after the military coup of September 11, 1973” (234). If nothing else, this final poem and note retrieve Neruda from his reputation as a universal lyricist and situate him within his own historical context. An excerpt from the collective poem amereida, composed by an anonymous group of Chilean poets and architects in 1965, brings poetry off the page. The introductory note tells us that the poem inspired a series of “travesías” or “poetic journeys modeled after the early practices of André Breton and the surrealists but carried out with the expressed purpose of discovering the ‘interior sea,’ the largely unoccupied territory at the center of South America” (362). These journeys incorporated poetry performances and ephemeral art installations, recalling Vicuña’s introductory comments about performance “works that interact specifically with place in a way that echoes the indigenous practices” (xxvii). A series of photographs accompanies this poem and suggests ritual interactions with dramatic landscapes. The poem itself queries a concept of discovery that occludes what is already present and gestures instead toward more occult forms of knowing: “we must clear the path — / and what may be spoken of / here / is a vast sea, a mare magnum / but hidden / because, though visible, / mostly ignored / the names —” (translated by Simon Pettet and Cecilia Vicuña, 364). Typographically, the words of the poem reach across the field of the page, creating an architecture of possibility that inspired the installations that followed in its wake. Best known as a poet and visual artist, Vicuña links the midcentury move toward performance in Latin America not only to trends in the United States and Europe, but also to indigenous traditions. Exiled from her native Chile during the Pinochet years, Vicuña draws on Andean forms such as the quipu in her own work, negating boundaries between orality and writing, indigenous and Western forms. The Oxford Book of Latin American Poetry includes two photographs of her “metaphors in space,” one of which (“The earth listening to us,” Con cón, Chile, 1966) is an ephemeral installation on a coastal beach in central Chile in which the poet engages in a dialogue with her physical surroundings, making use of the natural debris found there, drawing spirals in the sand and propping feathers and sticks into sculptural forms (478). Committed to the promotion of Chile’s indigenous cultures, Vicuña has previously edited an anthology of Mapuche poetry, and is the cocreator of OYSI, a new online resource facilitating the transmission of indigenous forms of knowledge. 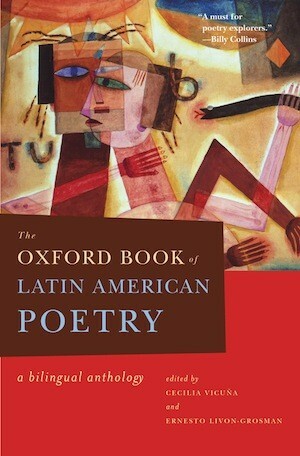 In addition to this commitment to indigenous languages, forms, and practices, The Oxford Book of Latin American Poetry also spotlights Latin American contributions to international modernism, especially in its representation of the innovative visual poetics of Mexican poet José Juan Tablada and Uruguayan poet Joaquín Torres García. Tablada was “a major contributor to the international symbolist movement” who “popularized caligrammes (picture-poems) and brought the haiku structure from Japan to Mexico” (101). In “Impresión de la Habana” (Havana Impressions), a sensuous yet ominously historical description of alighting upon Havana’s shores composes the text that forms a picture of the same with a lighthouse, palm tree, cliffs, waves, and seagulls: description aligns with design, so that the poetic line referring to seagulls, for example, outlines a winged formation in the sky. Both this poem and Tablada’s “Ideogram Lantern” are presented in Spanish, with the English translation below echoing but not replicating the visual layout of the original. Similarly, the visual poetry of Joaquín Torres García is reproduced in Spanish with the English translation subordinated. These examples suggest the resistance of visual poetry to translation — an intransigent density resists being carried over because of the arbitrary ways in which meanings, shapes, and sounds line up in any language. While Torres García lived in Spain for much of his adult life, he returned to Uruguay at the ripe age of sixty and invented “his own theory of constructive universalism — an art inspired by the pre-Columbian traditions of the Americas” (107). The interaction of text and drawing in his work resonates with pre-Columbian writing systems, while its disjunctive syntax and informal speech registers as distinctly modern. Violeta Parra, another major twentieth-century Chilean poet, typifies the anthology’s recognition of popular or folk forms of poetry. Here, she is positioned among other Latin American poets who valorize the culture of the rural poor. Parra, whose brother Nicanor is famous for his anti-poetry, writes in décimas, an improvisational oral form that requires leaps of wit and humor. Another innovator of popular forms, Brazilian poet Apolônio Alves dos Santos, wrote and sold cordel poetry, which he would string between posts in market places. These hanging poems were ballad-like narratives accompanied by illustrations. Later adopted by urban poets, the cordel continues to be practiced in Brazil today, according to the editors. While Violeta Parra brought oral improvisational forms to the page, the opposite process is recorded in the works of poet and healer María Sabina, whose words were transcribed in the 1970s. An excerpt from Sabina’s visionary work Vida (Life) begins, “I am wise even from within the womb of my mother. I am the woman of the winds, of the water, of the paths, because I am known in heaven, because I am a doctor woman” (178). Though an oral autobiography, here María Sabina speaks in many voices, and their bold claims are echoed in the oral poetries of contemporary Tzotzil poets. The last pages of the anthology offer selections from four female Mayan oral poets recorded and transcribed in Tzotzil, then translated into Spanish and English by Ámbar Past. With titles like “Prayer So My Man Won’t Have to Cross the Line” and “Pexi Kola Magic,” by Xunka’ Utz’utz’ Ni’ and Loxa Jiménes Lópes, respectively, these poems allude to the unevenness of the free market system that directly links the poets to the anthology’s readers, even though the poems themselves must travel across multiple acts of transcription and translation. Both poems are addressed to the gods: one is a plea to not be forced to cross the Mexico-US border for work, and the other is a prayer that the poet’s soft drinks will sell. The major drawback of this anthology is that only the English translations are presented in lineated form while the original versions of the poems are presented in blocks of texts with single and double slash marks to indicate line breaks and stanza breaks, making going back and forth between the originals and translations quite cumbersome. The substantial number of multilingual translations from an indigenous language first into Spanish and then into English presents a formatting challenge that bilingual anthologies can avoid with a simple side-by-side presentation. However, traditional side-by-side presentation would come at the cost of significantly reducing the number of contributors due to spatial concerns. Because this anthology has the potential to arouse many readers’ interests in new and unfamiliar poets (whose principal works are recommended for further reading in the biographical notes), the less-than-ideal formatting seems the lesser evil precisely because it allows for a greater range of exposure. The Oxford Book of Latin American Poetry is an essential resource for US teachers and students of poetry as we move away from the study of an isolated American poetry and toward the teaching of a more inclusive poetry of the Americas. The relative isolation in which the poetries of the United States and Latin America have traditionally been studied no longer fits our contemporary moment of intensified intrahemispheric cultural contact. Indeed, this isolationist model can be seen as a relic of Cold War mappings as much as an effect of language differences. The Oxford Book of Latin American Poetry serves as a compass for those of us interested in remapping the hemisphere to reflect our actual connections and relations in and across languages. An anonymous female Maya scribe offers to carry us over into this multitemporal, multigeographical zone — that is, when we’re ready to heed her glyphs. 1. The content of these books, in which the Maya recorded their histories and myths, has largely survived through reproductions on murals and vases predating the conquest. 3. Mestizaje here broadly refers to the mixing of European and indigenous cultures that occurred as a consequence of colonization in the Americas. 4. The video surveyed Painted Ideas, an exhibit curated by Vicuña that featured visual poetry from the anthology (see http://www.ceciliadetorres.com/paintedideas/paintedideas_ex.html). 5. See James M. Harding and John Rouse’s introduction to Not the Other Avant-Garde: The Transnational Foundations of Avant-Garde Performance (Ann Arbor: University of Michigan Press, 2006), 2. 6. Also included in the anthology, Nicanor Parra’s anti-poetry mobilizes colloquial forms of speech. 7. The exceptions to the rule are certain visual poems; as I mention above, visual poems necessitate the opposite approach, where the translation appears beneath the image as a block of text.